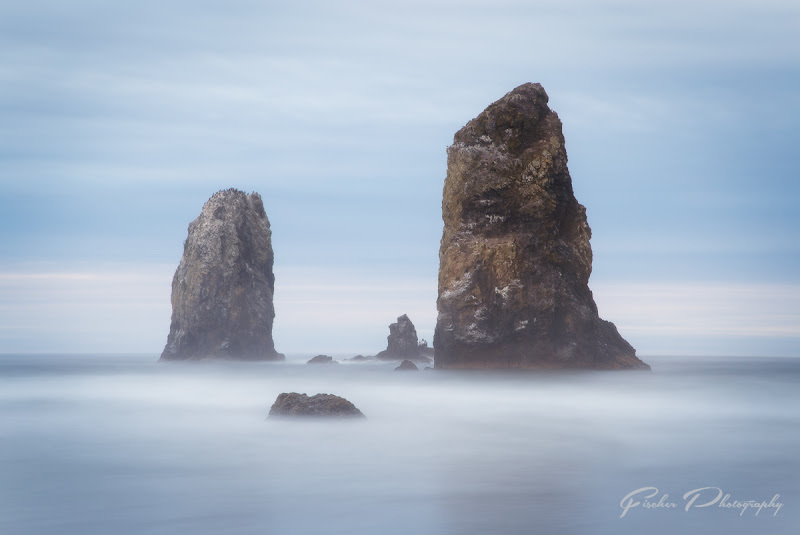 You can’t think of the northern Oregon Coast without thinking about the iconic sandy shores of Cannon Beach with its iconic Haystack Rock standing like a beacon but actually is a safe haven for hundreds of sea birds. However there is much more to see and explore along the northern end of the Oregon coast than just Cannon Beach. That said, don’t pass up an opportunity to spend an evening on the beach! All roads lead to Cannon Beach. In this case that’s more or less true. Highway 101 heads north and south along the coast – all of the coast as you probably know. So if you’re coming down from Washington State across the Astoria-Melger Bridge or coming up the coast from Tillamook or further south getting to Cannon Beach and the rest of the beauty that is the northern Oregon coast. A third major road, Highway 26 cuts through the heavily wooded Oregon coastal range on its way from Portland to the coast. Just to the north of Cannon Beach is the small town of Seaside, I normally choose to stay here instead of Cannon Beach as there are more hotel options at reasonable prices. Further up the coast is destinations such as Fort Stevens State Park (along with the wreck of the Peter Iredale) and the Lewis and Clark Historical Park. 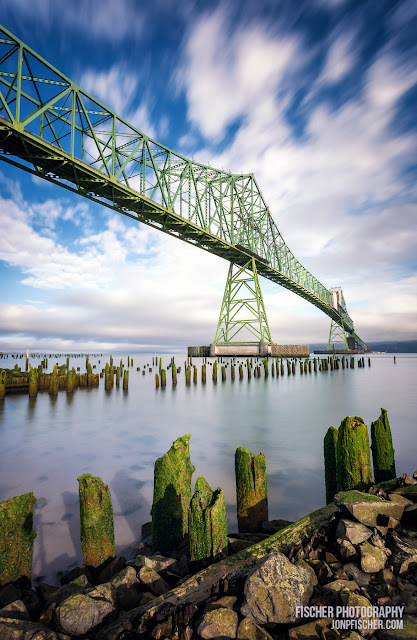 Sitting just back off the coast on the Columbia River is the town of Astoria Oregon. 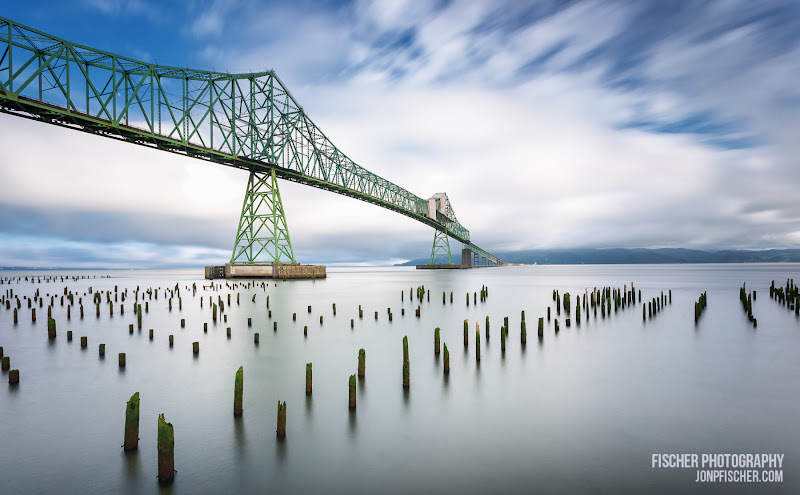 Astoria is best known by photographers for its rows and rows of pilings left over from long gone canneries along the waterfront and it’s massive Astoria-Megler bridge. Heading south from Cannon Beach, you’ll find Oswald State Park on the coast as well as Hug Point State Park before Highway 101 heads further inland to go around Nehalem Bay and Nehalem Bay State Park and then onward south into Tilamook which I would consider the cut-off location for the northern Oregon coastline. So with all these options of places to explore, how do you possibly choose where to go first, or even, dare I say, where to pass by so don’t spend all day within 3 miles of where you started? 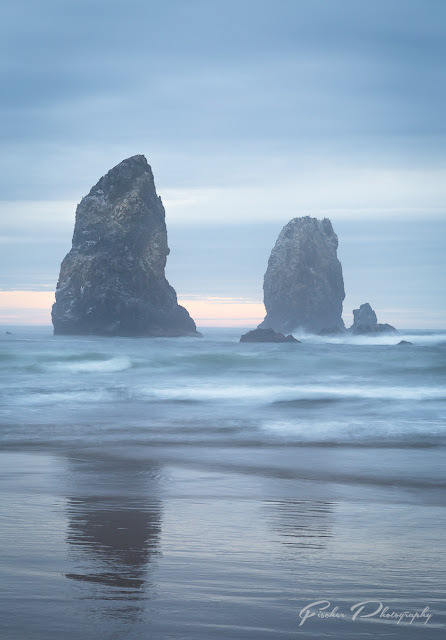 For the sake of conversation and organization, instead of starting at Cannon Beach, we’ll instead start at the first point you’ll likely encounter as you enter Oregon from Washington – simply because it makes sense to me. Astoria is a great town for so many things. Of course the first on my mind is photography. 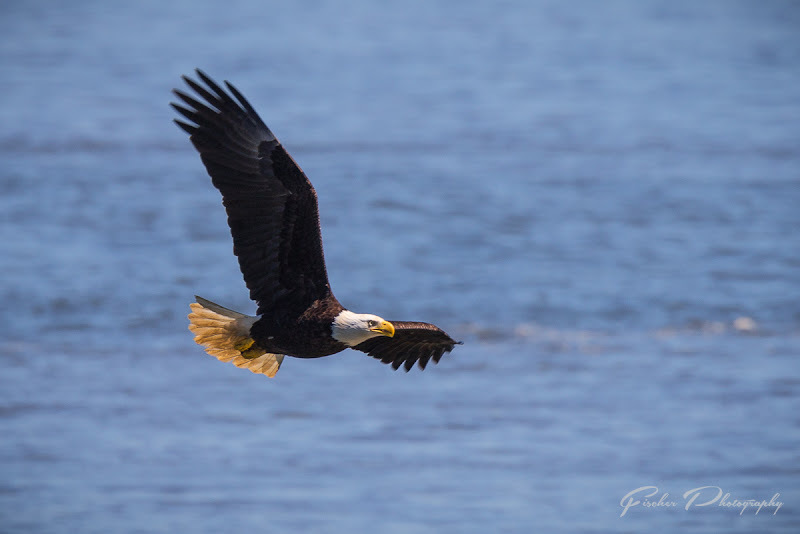 With the beautiful Astoria-Megler bridge rising above the waters of the Columbia River to the moss covered pilings sticking up out of the water, and on a good day you might even be able to break out the long glass to get shots of a Bald Eagle down on the boardwalk. To get the most out of a day of photography in Astoria, you’re going to want to have some clouds in the sky that have some movement in them so you have an excuse to break out the high-power Neutral Density (ND) filters and start running off 20-30 second shutter time shots (tip – run off 3-5 of these for really long exposure shots). 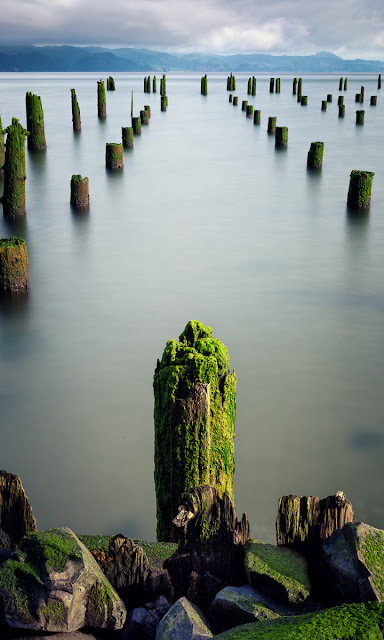 While those ND filters are in use, aim them at the pilings lining the shoreline. 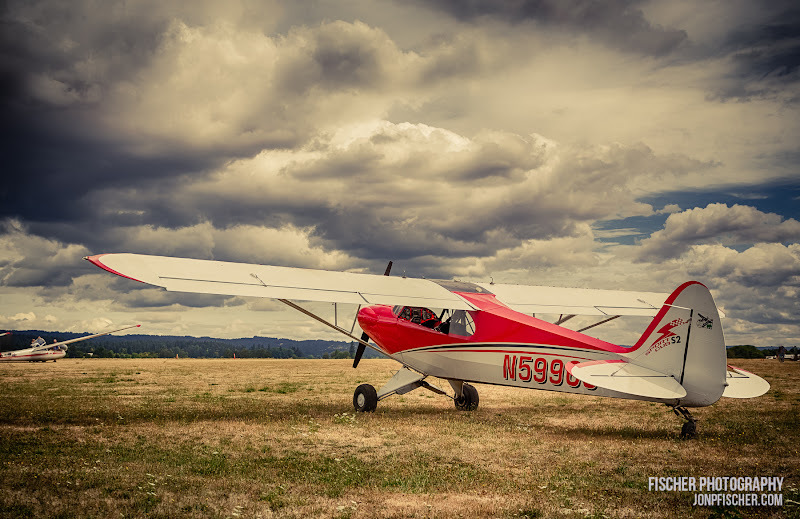 To get the best look out of these situations, you’re going to be wishing for a bit of a breeze so the waters of the Columbia River have a bit of a chop to it. The more up and down movement the water has the more of a foggy effect your long exposure photos will have around the pilings. Smooth water can be flattened out, but you’re not likely to get anything resembling a reflection, so for eye catching photos, the foggy look is what you’re going for here. Fort Stevens covers a great deal of land on the far northern edge of the Oregon Coast all the way up to the jetty at the mouth of the Columbia River. Fort Stevens itself is the third and only Oregon located fort in a three installation set of Forts built for defense of the Columbia River. The other two can be found (and also open to visit) in Washington. Within the State Park you’ll find miles of hiking and cycling trails, a lake to fish and swim in, it offers camping sites, and of course beach access. 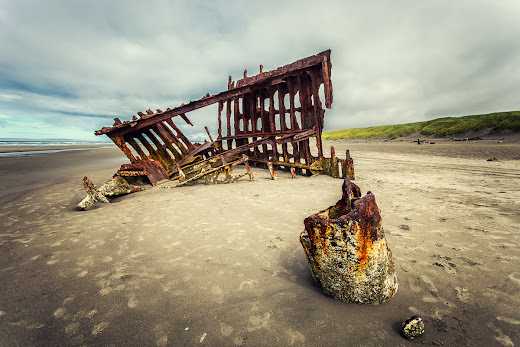 And on that beach you’ll find the spot that first drew me to Fort Stevens State Park – the wreck of the Peter Iredale. 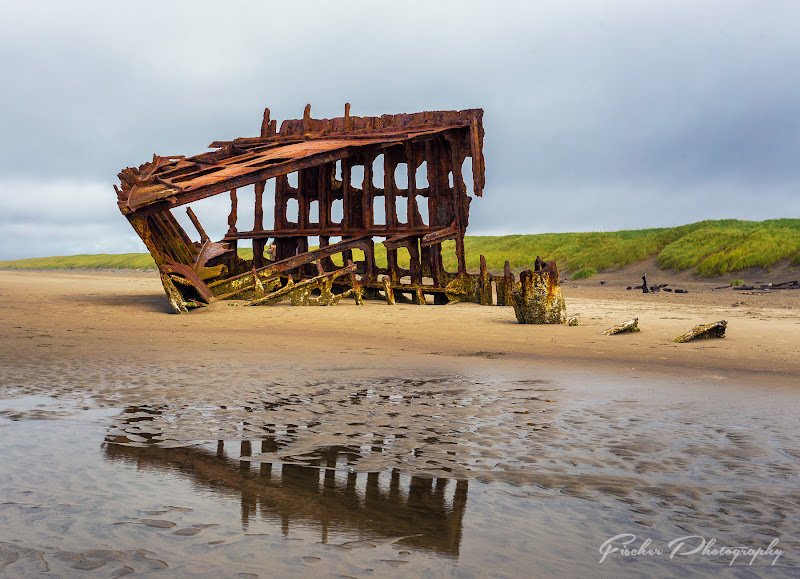 The Peter Iredale ran around in 1906, and since then has gone through periods of being completely buried in the sand and then exposed as the yearly winter storms pound the coastline. In just the two years between my two visits to the wreck, I found much more of the wreck exposed this year than when I saw it in 2014. Depending on the tide levels, the wreck will either be siting beyond the wave’s reach or well beyond your knee’s depth in water. If you want to explore in around the wreck, try to plan your visit during low tide as I had in 2014, but shooting slightly long shutters of a half second or so up to around one second during higher tides when the water is rushing through the wreck produces amazing results. The former coastal defense emplacement that was Fort Stevens is a great area to explore as well if you have not had an opportunity, or have plans to, see any of the other Forts up in Washington, certainly take a few minutes to explore Fort Stevens. I’ve visited all three on one trip or another, only Fort Columbia with its remaining guns is worth visiting over Fort Stevens. Each of the three have their own charm and looks though, so if time allows, draw your own conclusions by seeing all three! Up on the far north end of the State Park grounds is the southern jetty of the Columbia River. Fisherman frequent this area in significant numbers looking to haul in a salmon for sport or dinner. On a good day, there will be dozens of fisherman casting their lines along the mouth of the river and even out on the jetty itself. 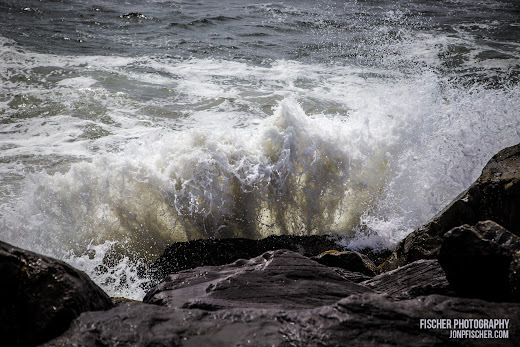 If you choose to venture out on the jetty, perhaps to try to capture the crashing waves of the pacific against the massive rocks, I highly suggest packing all your gear in your bag and very carefully making your way through the rocks. This is not the place you want to be worrying about your camera swinging around your neck or using one hand to hold a tripod instead of steadying your way. If you’re not reading the road-side signs as you travel south along the 101 from Fort Stevens or Astoria, you might just miss Cannon Beach. The town is rather well hidden from the road, and only by taking one of the few exits, such as Sunset, off the highway will you find yourself on the surface streets of Cannon Beach. 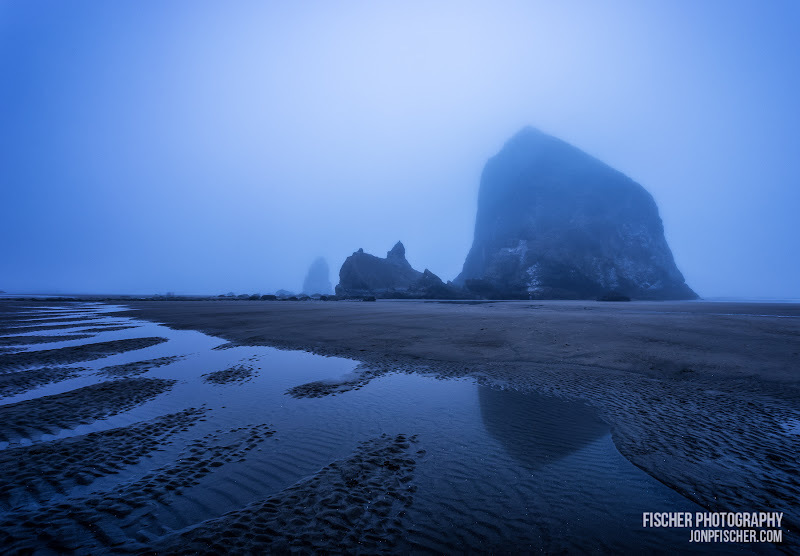 What you might see first is a few peeks of the famous Haystack Rock on the drive down from the north. For those who have never visited the sheer size of Haystack might take you by surprise, few photos really put the scale of the massive seastack in perspective. Simply put – it’s huge. Easily big enough to see it from the Highway when you’re at a crest in a hill as you approach Cannon Beach. There are several access points to the beach, and quite a bit of public parking, so even on nice days you should be able to find parking within a short walk of the beach. 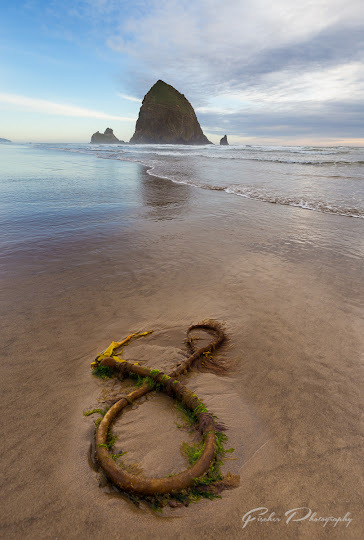 Once down on the beach, it won’t take you long to locate Haystack rock. It is easily the most dominate feature on the coast for as far as the eye can see up to Ecola Park to the north and down the long beach to the south. 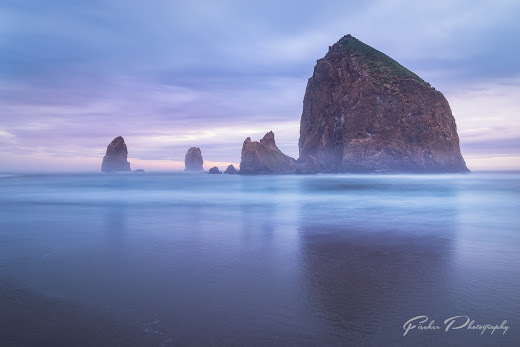 For photography pursuits, no doubt you’ll be considering an evening visit with hopes of spectacular colors to silhouette Haystack Rock. I, for one, will keep my fingers crossed for you. However, don’t be disheartened if you arrive and find overcast skies, or even thick sea layer fog. Here more than anywhere else on my past visits has mother nature thrown me more than a few curve balls. All I can say is – adapt and adjust. 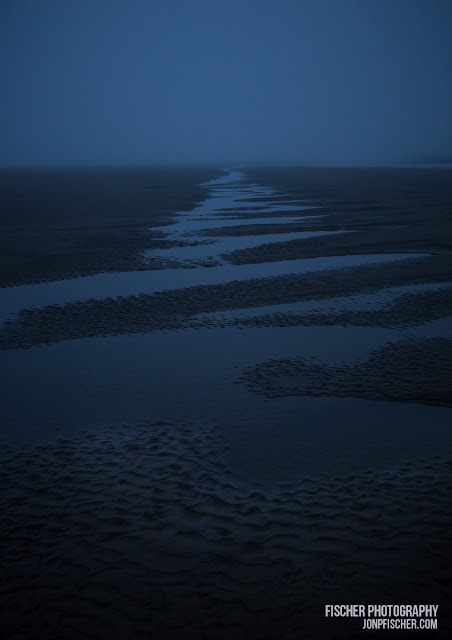 In 2014 I had a single night at Cannon Beach, meeting up with a local photographer at his home in the area. As dinner was wrapping up we noticed the first hints of color, real sunset color, peaking through the trees outside his window. Like school kids who just heard the ice cream truck we raced for the car, cameras in hand. By the time we reached the beach we saw nothing – literally. Thick fog was hanging right down to the water line, completely obscuring Haystack only a couple hundred yards away. Undeterred we made our way down on the beach, and at low tide we were able to get right up close to both Haystack and the Needles. Just as the light was fading, we had a few moments of thinner fog which we made the most of. This year I returned with aims to hit Cannon Beach again for an attempt at that elusive sunset and a single morning attempt up at Fort Stevens. As often is the case with photography trips, the best plans will need plenty of room for change. 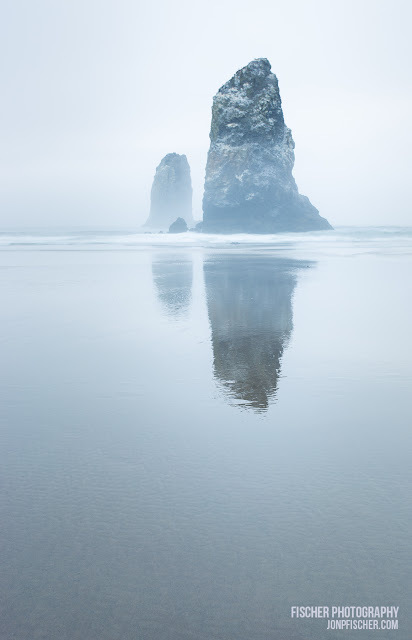 With three other Texas photographers along for the experience this time, we once again stepped foot on the beach near Haystack rock to find overcast skies, and while we could feel there might be some hints of color, this was not going to be a jaw dropping spectacle of reds and oranges. Keeping in my mind mantra of Adapt and Adjust, out came the dark ND filters and up went the exposure times, letting the turbulent high tide waves shift into milky foggy hues of blue and gray as seen above. 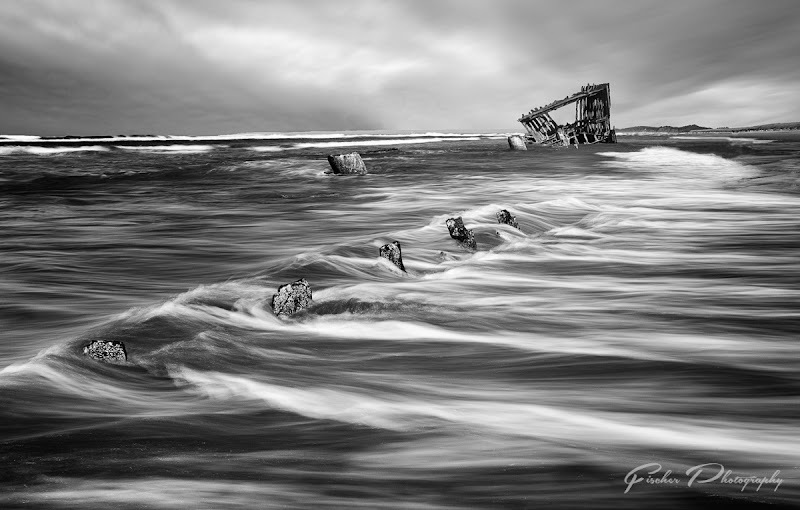 This year too would be a second shot at the Wreck of the Peter Iredale, my last visit was at low tide leaving the wreck high and dry, but this time around we aimed to arrive as the tide advanced giving the group ample opportunity to get longer exposure shots with the surf rushing through the remains of the ship. One of the many fantastic things about traveling and photographing with other photographers is that they help you slow down, see different options, refinements of the same composition you had in mind but with a slightly different perspective. This was certainly the case at the Peter Iredale the day we were there. Each of us looking over each other’s shoulders for what a jump to the left or a step to the right might do. I know I came home with shots I was happier with in terms of composition due to this. The flip side to traveling with 3 or 4 other people is simply that you can’t jump back in the car and head off to the next location the moment (think) you are done shooting somewhere. 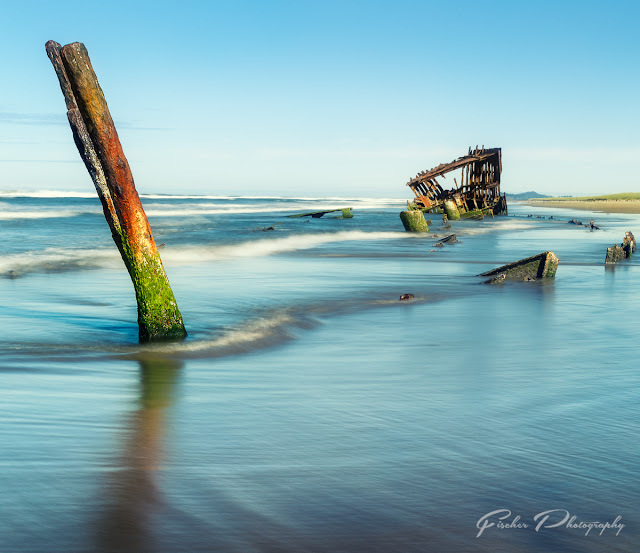 I had spent the better part of a day around the Fort Stevens area in 2014, but I had shot not only the Peter Iredale, but also the old fort complex, as well as the jetty, and had time to stop in Astoria on my way north up to North Head Lighthouse for a sunset shot (seen in my Southern Washington article). This year was a bit different, partially because we had further to go as we were actually on our way north to Astoria and then all the way south to Newport giving us less of the day to shoot at Fort Stevens, but also that I needed to wait till all parties agreed it was time to move on. Not saying this is a bad thing, you never know what interesting shot you might get in those few extra minutes between when you think you’re ready and everyone else is, but it certainly was something I had to adjust to when it came to scheduling and planning our stops. Another positive, if you’re the first one to wrap shooting a location, you have a moment to take a deep breath and take in the scene with the ultimate camera – your eyes and your mind.